Michael Roth, chairman and chief executive of Interpublic, on the 'open architecture' approach, sale rumors and why Interpublic is in a stronger position than ever. Michael Roth could have retired by now. In fact, the 71-year-old has retired before. He was chief executive of financial services company Mony Group until he sold it in 2004. But the board of Interpublic—where Roth sat as a non-executive director, "minding my own business," he jokes—persuaded him to take charge as chairman and chief executive in 2005 when the group was in trouble, despite the fact that the New York University-trained tax lawyer says he "didn’t know anything about advertising." "We’re not lacking anything. We can field a team in any competitive pitch in the world"
Twelve years later, he’s still going strong. "What keeps me going is I love what I do," Roth says on a visit to London, where he hosted a board meeting in the capital for the first time in years—a sign that the US group is "committed to" the UK despite Brexit. "I love the people and the organization," he adds. The $10 billion holding company owns agencies including McCann, R/GA, Initiative, UM, Weber Shandwick and Golin. "Where else can you get to have a career that is global in nature, that has 50,000 employees under your responsibility, with the best talent in the world? And we’re performing well. Why wouldn’t anyone want to do that [job]?" Roth, who earned $18 million in 2016, can boast that annual revenues grew 5 percent on an organic basis to $7.8 billion last year and have risen 17 percent over the past three years. However, revenue in the first quarter of 2017 rose only 2.7 percent. His 12 years in charge of the world’s fourth-biggest ad group would count as a long tenure in most industries, but not advertising. Roth’s bigger rivals are Sir Martin Sorrell, who has clocked up 32 years at WPP; John Wren, who has led Omnicom for 20 years; and Maurice Lévy, who is stepping back at Publicis Groupe after 30 years. "This is a bizarre industry," Roth chuckles. Anyone who expected him to repeat what he did at Mony and sell Interpublic has been kept waiting. But there has been plenty of speculation about a takeover bid over the years, peaking in 2013 when Omnicom and Publicis Groupe announced a planned merger that subsequently failed. "A number of companies," including Publicis Groupe, flirted with buying Interpublic around that time because some observers were "questioning whether we had the scale in certain markets," Roth recalls. "At the time, our share price was $12. I kind of look at that as a missed opportunity for those companies that were thinking of that," he says in a swipe at Publicis Groupe. "Instead, some of those companies made $3 billion acquisitions that led to a $1.5 billion write-off [a reference to Lévy’s purchase of Sapient, which completed in 2015]. In the meantime, we’re at $24 a share [now]. "We’ve outperformed [the market], we’ve added 17 percent organic growth in the last three years, we’re expanding margins. I’d like to think the shoe is on the other foot right now." What’s more, Roth feels "we certainly have scale" and "global reach" to compete "in all of our disciplines." "We’re not lacking anything," he says. "We can field a team in any competitive pitch in the world and, if you recall, when we had all these media pitches [in the US] two years ago, we outperformed everyone on that." Some rivals don’t see it that way. One media chief says he rarely comes up against Roth’s group in pitches. Another describes Interpublic as "anonymous" on the media front in Europe. Roth concedes that Interpublic "traditionally hasn’t been the strongest" player in Europe but says "hopefully you’ll see some positive momentum" this year. IPG Mediabrands recently appointed a new EMEA chief executive, Caroline Foster Kenny. The UK generates 9 percent of Interpublic’s global revenue and Roth says there has been no material impact from Brexit yet. A few clients have had "concerns," he concedes, "but not of a magnitude that we have to change our way of thinking or any aspect of our business here." 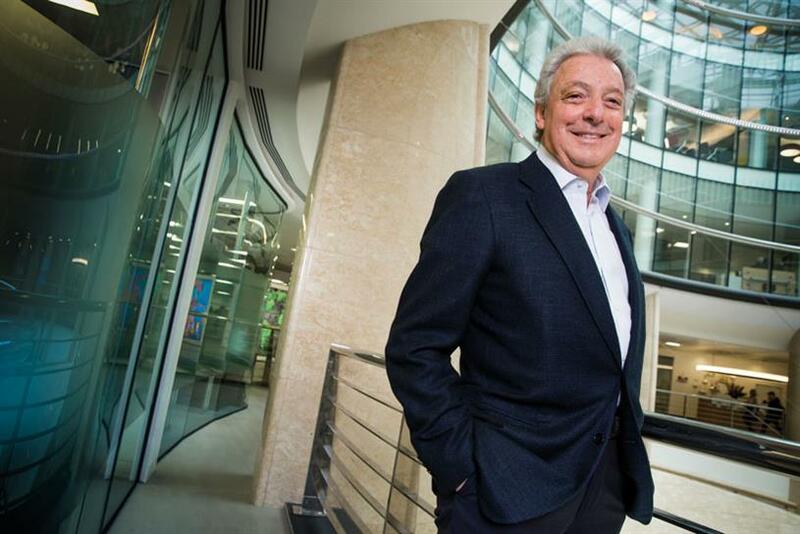 Interpublic has made several recent purchases in the UK, including digital shops Mubaloo and Stickyeyes, and also made an acquisition in China "for the first time in years" when it bought PR agency Magic Group. Roth spends $150 million to $200 million a year on acquisitions but has resisted a major deal. He points to the purchase of New York shop Huge, which has grown organically from an 80-strong outfit to 1,200 staff globally, as an example of how he prefers to operate. He believes having a breadth of skills, rather than sheer scale, is what matters: "There’s no question that the integrated offering is the compelling argument we bring." Roth claims that Interpublic was far ahead of its rivals in pushing what he calls "open architecture" more than a decade ago—long before WPP talked about "horizontality" (he raises his eyebrows at the term) and Publicis Groupe and Havas restructured. "We don’t need to restructure our entire company into disciplines and do away with all the different organizations," Roth adds. "I don’t believe that works from a cultural point of view." "There’s no question that the integrated offering is the compelling argument we bring"
Integrated wins such as Johnson & Johnson prove that the Interpublic model of getting its agencies to collaborate on a client-by-client basis is working, he says. Yet the group’s agencies are scattered across London in 18 locations. Would it make sense to bring them together with one P&L, in one place, as Havas has done with Havas Village? "I don’t need to have a village. What I need is the pencil and the eraser. What that means is, if we’re servicing a client and different units are working on that client, where that revenue and profitability fall is an accounting issue." It’s up to the holding company to solve the accounting issue and the client shouldn’t have to worry, he says. Media transparency is an area where clients have been asking searching questions of their agencies, but Roth insists he is "110 percent comfortable with our contracts." He claims Interpublic’s reputation is "probably among the best" because it had to sort out accounting problems when he joined. "We were the first to open the kimono on rebates," Roth points out. Interpublic passes back money from media owners to clients and doesn’t buy digital inventory and resell it at a higher price, unlike some rivals, he says. Roth adds that he was the only one of the holding group chiefs to meet the US Association of National Advertisers during its inquiry into "non-transparent" media agency practices. Michael Kassan, founder of Media-Link, which manages many agency pitches, rates Roth. "He’s a mensch," Kassan says, meaning a man of integrity. "Roth took to the ad industry far faster and better than most people thought he would. He understood client services because he understood the service industry." Kassan adds that Roth has shown genuine commitment to improving diversity: "He doesn’t just say things, he shows up." Brian Wieser, an analyst at Pivotal Research Group, says Roth looked like "a caretaker" when he started but is now seen as "a very capable leader and manager by clients and employees." "I don’t think one can place him in the same group as Sorrell and Lévy, who spent much more of their careers in the business," Wieser says, arguing there is an "absence" of a "long-term strategic direction beyond an ongoing evolution in response to client needs." But Wieser suggests Roth "compares favorably" with Wren because the Interpublic boss is "much more open about the business to the industry and investors, and generally seems more engaged with clients." Insiders and observers also credit Roth with developing a strong "bench" of potential internal successors, including Frank Mergenthaler and Harris Diamond. "He could leave tomorrow and the group would still function," one Interpublic agency leader says—not something that people would readily say of WPP. Roth, who looks sprightly and fit for his age in a blazer and loafers, doesn’t have the same ego as his rivals: "We don’t carry around a flag and talk about how big we are. I’d rather talk about how good we are." He says Interpublic’s work is paying off creatively. "When you look at awards per revenue, we lead the tables," he claims, citing data that shows his group beat its three rivals at Cannes and the Effies on award points per $10 million of revenue. "More and more people are trying to get into our business—God knows why," Roth adds, referring to management consultants. But they don’t have the "creative horsepower" to generate "those big ideas," he says. All this fighting talk doesn’t suggest he is ready to step down. When Roth joined, the operating margin was -2.5 percent and he set a target of 13 percent. "When you manage an organization, you like to have a goal," he says. "We’re not there yet." But Roth expects to hit 12.5 percent this year: "My goal is to continue that journey until we’re successful." Doesn’t he want his career epitaph to be more than a 13 percent margin? He laughs but doesn’t offer a better suggestion. What matters, Roth says, is that he loves the job. He had jumped on the "red eye" to London, heading straight from the plane to talk at Advertising Week Europe, before looking at "brilliant" campaigns produced by Interpubic’s "talent," meeting clients and doing interviews. "The day I can’t do that, it’s obviously a concern," Roth says. "Being surrounded by the talent I have makes it easier." "We have an obligation to our shareholders to look at every opportunity to enhance shareholder value. I never did not take a meeting with anyone that was interested in IPG." "I can’t think of a stronger statement that reinforces that this is a market that we’re committed to, that we intend to invest in and continue to grow." Has he given a leaving present to Maurice Lévy, who is stepping down as chief executive of Publicis Groupe after 30 years? "When Maurice really retires, I’ll believe it." "It’s very interesting to have a businessman running a country. But he’s running into problems. There’s a value in having knowledge of the system."